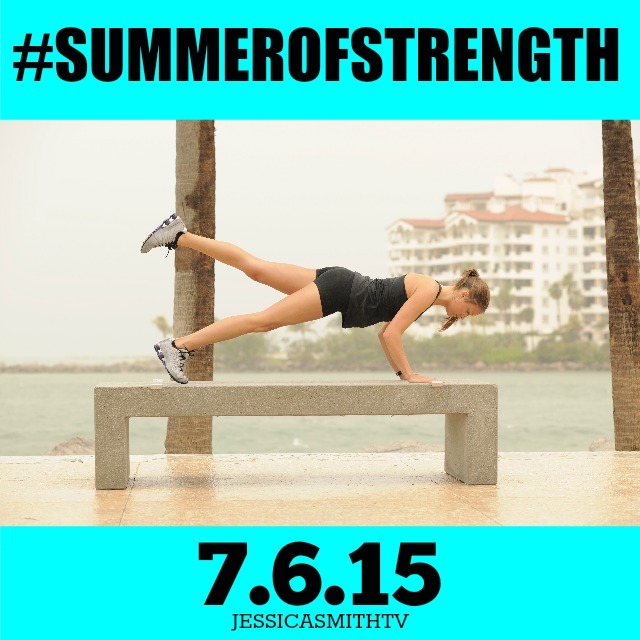 Join our FREE Summer of Strength YouTube Challenge! Are you ready for a Summer of Strength? Forget training for a bikini, we want to help you train for a fun filled, action packed life instead! That’s why our summer challenge is all about helping you build strength in so many ways. The plan includes 28 workouts to be completed in 28 days (don’t worry, we’re including active rest day workouts to help you avoid overtraining) with an emphasis on building strength in four specific ways — muscular strength, endurance, power and function. We’ve put together a periodized rotation (to help you train just like althetes do) of our FREE Youtube workout videos to help you maximize your results, energy and motivation during the month of July. All you need to do to join this FREE program is sign up HERE for our email list. We’ll be sending out all the details on Saturday, July 4th. Have a friend that might enjoy the program too? Pin, tweet, post or phone a friend and invite them to join in! The more people you have on your team the more likely you are to stay accountable and succeed with the plan. Get ready.. this plan begins on Monday July 6th 2015! Would it be possible to have the schedule so I could do it now? Our seasons are reversed here in the southern hemisphere – summer is approaching! To my sorrow, I too am on your email list, and did not receive this challenge. Hi Jessica. I am on your email list, but I did not receive this challenge. I am very motivated and ready to start. Please help! I want to start the challenge, I’m on your email list but didn’t receive an email.